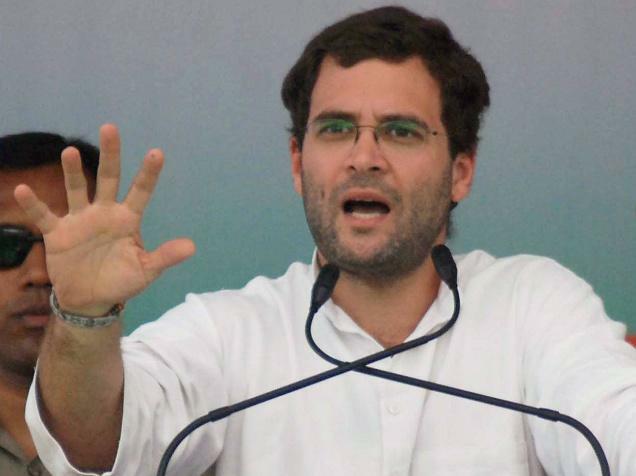 Ahmedabad, Oct 3 : A day after the cabinet withdrew a controversial ordinance to save convicted lawmakers from disqualification after Rahul Gandhi trashed it publicly, the Congress vice president Thursday said his choice of words was wrong, but not the sentiment. "My mother (Congress president Sonia Gandhi) told me that the words that I used were strong. In hindsight, I feel maybe my words were wrong. But the sentiment I felt was not wrong," Gandhi told reporters here. He is in Gujarat Oct 3 and 4 to meet party workers. Gandhi had termed the ordinance as "complete nonsense" and said that it should be "torn up and thrown away" in an intervention at a media interaction that chief Congress spokesperson Ajay Maken was having at the Press Club of India in New Delhi. Gandhi joined the press interaction moments after Maken had defended the ordinance. "I told him you can't defend the indefensible," Gandhi said. The cabinet had cleared the ordinance Sep 24. Gandhi's outburst was seen as a public snub to Prime Minister Manmohan Singh, who was then in the US. Gandhi justified his remarks saying many in the Congress felt the same way. "I am entitled to voice my opinion," he said while stressing that a large section of the Congress party supported his stand. Before the cabinet reversed its earlier decision Wednesday, Gandhi met the prime minister and explained his position to him.